Did you know you can use an Internet safety keystroke logger program to monitor what your child, your employees or even your spouse does online? Every last detail can be recorded-from what was typed in a chat room to which Web sites were visited and even what programs on the computer were used. You can spy on the users of a computer, or even on someone using a remote computer, all without them knowing about it. What is an Internet Safety Keystroke Logger? It is a computer software program, or in some cases a piece of hardware that attaches to the computer that spies on the person using the computer. Unlike spyware, which is an unwanted program on your computer, this kind of spy software is installed by you. Keystrokes -- Every word typed in any program is logged so that you can read a transcript later. Web sites visited -- The complete URL along with the time of the day it was visited. Software program use -- Find out how long your child really played video games. Downloads -- Watch to see what was downloaded onto your computer. 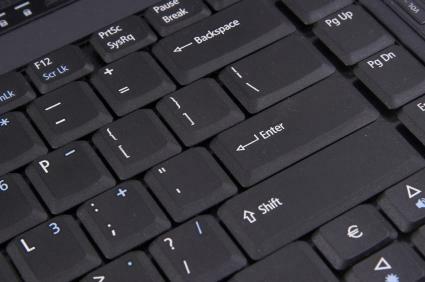 Most keystroke logger programs work by installing the program onto the computer that you want to monitor. During the installation process, you will tell the software what to monitor. When the installation is finished, the program will go into "hiding" so that the user doesn't know he or she is being watched. There are also physical keystroke loggers, which don't require the need to install software. Instead, they attach to your computer, usually by connecting the keyboard cord to the device, and then attaching the device to the computer. Why use a Keystroke Logger? There are many reasons why you might consider using spy software. Find out what someone is doing -- If you suspect a family member or employee is doing something they shouldn't be doing on the computer, you can find out with a logger program. Preventative medicine -- You may have discussed with your child why they should avoid going to undesirable Web sites, but will that stop them from visiting? Curiosity can get the best of us, especially when we think no one will ever know. With logger software, your child will know that you can find out where they have gone on the Internet-which will help them to only visit parent-approved Web sites. For this to work, you will need to tell your children that you have installed the software. Safety reasons -- Let's say your daughter is going to visit someone she met on the Internet, and she doesn't tell you where she is going. Check the keystroke logs and you'll likely find the location within the transcript. Monitor your own computer -- If you suspect someone is using your computer when you are not around, start monitoring to find out. A keystroke logger has many useful features, but there are still some issues you should consider before using one. Spying doesn't replace communication -- If your children don't know what they are supposed to avoid doing on the computer, spying won't teach them. Also, if you suspect an employee or spouse, it may be better to discuss with them before you start monitoring. Have to check the logs -- Monitoring software is only useful if you periodically check the logs. Will you have time to browse through a list of visited Web sites or read entire chat transcripts? Doesn't stop someone -- If you think someone is performing illegal activities on a computer, logging software won't stop them-it will only prevent them from doing it again. The software could be overridden -- The company that sells you the software will say that the program is undetectable, but if your child or employee is a computer whiz, they may be able to beat the system and alter or hide what is logged. Must have access to the computer -- If the computer you want to spy on is password protected-meaning you can't install software without knowing the password-you won't be able to install the keystroke logger yourself. Some programs do allow you to send the program as an e-mail attachment, but it will only install if the recipient runs the attached file. Waresight-- They sell a local keylogger, a program installed on a computer you have access to, along with a remote keylogger, which allows you to monitor a remote computer. Spy Arsenal -- This company offers several different spy programs, including a free keystroke logger. WideStep -- You can purchase several different keylogger programs, each having a different level of sophistication. Keyghost -- If you prefer to use a hardware-based solution, this company sell a product that attaches directly to a keyboard.